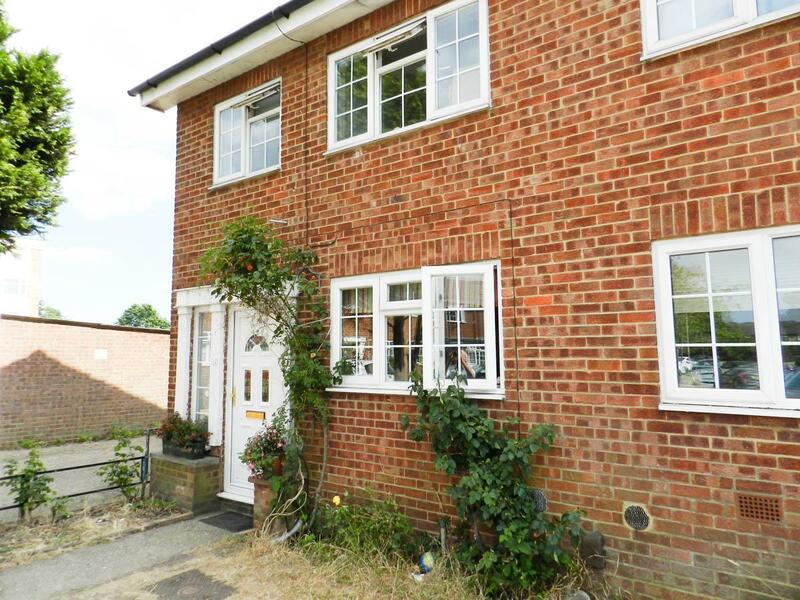 247 Property Agent are Pleased to offer to rent a well appointed 3 Bedroom Terraced property in a sought after Location .The property boasts generously sized rooms throughout. An extended kitchen diner to the rear with patio doors leading out to the level garden space, perfect for gatherings of friends and family. Ample off road parking to the front of the property and a single garage to the rear. This house is a perfect fit for those with young families falling within striking distance of all the local amenities and within walking distance of the local primary and junior schools. Road and rail links into the City are within easy reach all having superb links into the City. 247 Property Agent are delighted to offer for sale this charming two-bedroom town house, situated within a charming, converted, Edwardian country house and gardens located in a semi-rural location. The property is entered via a communal entrance, which leads to a private entrance way. Within the property elegant turning stairs, with a picture window on the half turn and under stairs storage, lead up to the first and second floors. An open-plan layout offers a great feel of light and space. The well equipped, kitchen area comprises of: gas hob, under surface oven, extractor fan, and plumbing for utilities and space for a fridge freezer. Triple aspect windows allow natural light to flow through the property. The top floor offers two good size bedrooms. The master having a front out-look, in-built wardrobes and shelving, with room for free standing furniture. The second, double bedroom has in built storage, eve’s access and a pretty rear outlook. The spacious family bathroom benefits from dual aspect windows and comprises of a three-piece, period style suite. The property is light and airy through out and is offered for sale in good condition, although some updating may be of consideration. There is ample parking for visitors and a garage with parking allocated to the property. The communal area is landscaped and well kept having extensive lawns and shrubbery and also offers a barbecue . Parking is on the driveway to the front and a garage. MODERN SECOND FLOOR REAR APARTMENT – Set in a superb, modern block less than two years old. An ideal purchase for any buy to let investors as currently tenanted. Internally, the property boasts one double bedroom with space for free standing furniture. A beautiful shower- room and well equipped open plan kitchen area. The light and bright, thoroughly modern reception room, with Juliet Balcony, offers a great space for relaxation and entertaining. The property has the added benefit of a beautiful lobby area, an allocated parking space, long lease and in-house concierge. This is a must-see apartment! 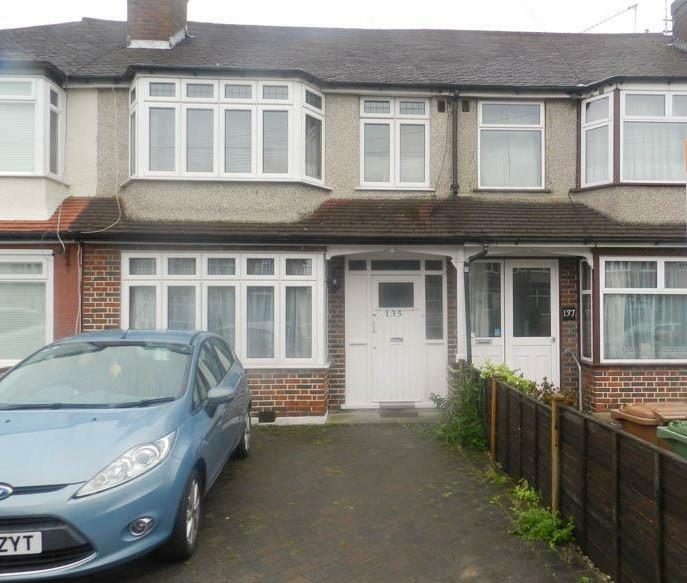 Located close to St Anthony’s hospital, with plenty of local amenities close by. The Concierge service operates between 9:30am-2:30pm Monday– Saturday. 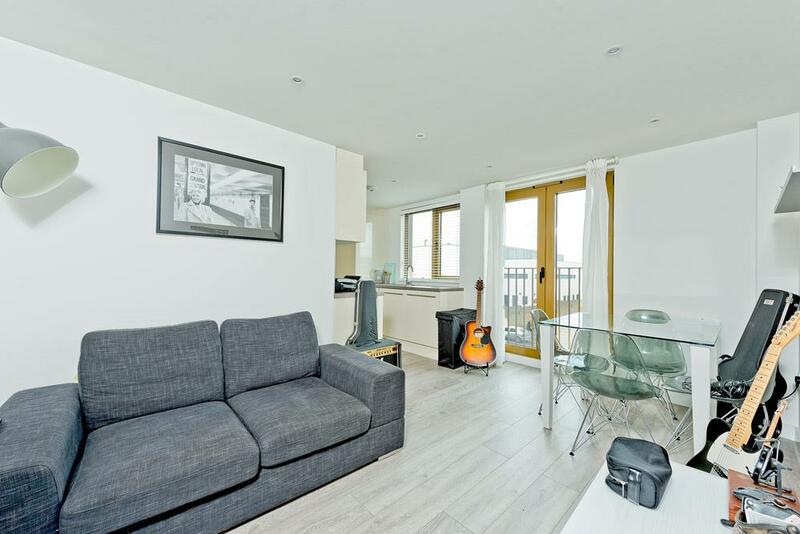 The property is located less than 5 mins drive from West Sutton Station, which connects to Clapham Junction and Waterloo Station [approx.20 mins]. Morden underground station (northern line) is less than a 10mins drive away or a 93-bus ride away (10mins). There are bus stops located to the left and right of property both within a 2mins walk. Worcester Park & North Cheam are located on the borders of Surrey & South West London. Located just 10 miles from Central London, Worcester Park is an ideal destination for commuters, with a direct Zone 4 rail link to London's Waterloo via Clapham Junction & Wimbledon in under 30 minutes and departing every 15 minutes. Worcester Park is located just off the A3, which offers road links to Central London, the M25 and both of London's Gatwick & Heathrow Airports. Local bus services will get you to Morden's Northern Line Station in approx. 15 minutes. Situated close to local amenities, transport links and local shops. Three generous bedrooms is an ideal home for a growing family home. The ground floor comprises of spacious living room with plenty of room for family entertaining and dining, and separate, fitted kitchen which is light and airy. The detached garage has been converted to offer further living space, useful as a home office. On the first floor there are two double bedrooms and a third single bedroom. The well proportioned family bathroom comprises of a three piece suite. Further benefits include gas central heating via wall mounted radiators, double glazed windows, a low maintenance, south facing garden and a peaceful, cul-de-sac location. Viewings are highly recommended call to book yours evenings and weekends available! 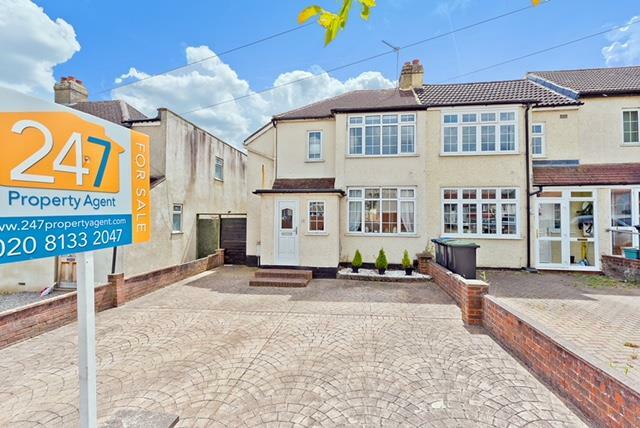 247 Property Agent are delighted to offer for sale this traditional, semi-detached three bedroom family home. The property is offered for sale in good order however there is the opportunity to extend (STPP) and modify. 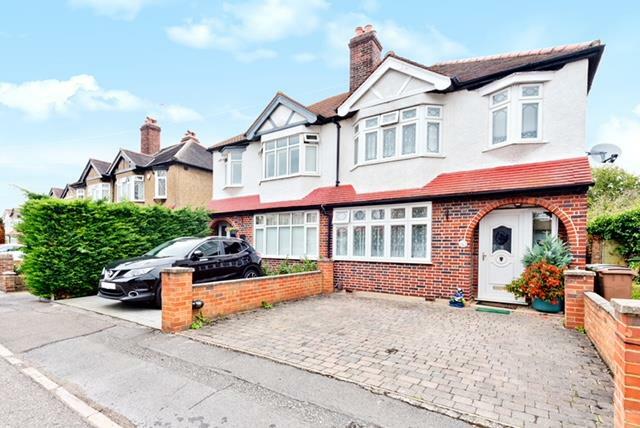 Exclusively listed to, ‘247 Property Agent’ set in a prime a prime residential area of Wallington, close to good schools, local amenities, Beddington Park and just a short walk from Hackbridge Railway Station (Zone 4). Call now to book your viewing! The property boasts two generous reception rooms, a large through lounge with and a tranquil dining area to the rear and the benefit of glass, patio doors leading onto the charming rear garden and a front sitting room with a striking picture window and feature fireplace. The separate, Galley style kitchen offers a good range of fitted wall and base units, plenty of surface space with a fitted electric hob and under unit oven. Located to the back of the property, is the ground floor shower room, a versatile addition to the property. The first floor offers three bedrooms, two, good size double bedrooms, the master having fully fitted wardrobes, the second & third, a single, have space for free standing furniture. The well-equipped family bathroom comprises of: a fitted shower bath with a fitted screen, a two piece, white bathroom set and tiled walls. Externally, this lovely home continues to impress with a large rear garden which is perfect for the whole family to enjoy. A large cabin can be found to the back of the lawn and offers a handy work-shop and lots of extra extra storage. To the front of the property there is off street parking for numerous vehicles with a garage set to the left hand side of the property, accessed via the front drive way. St Helier hospital is close by, as are a number of well-regarded, local primary schools. This property is an ideal buy for a young family, with the opportunity to make it home. 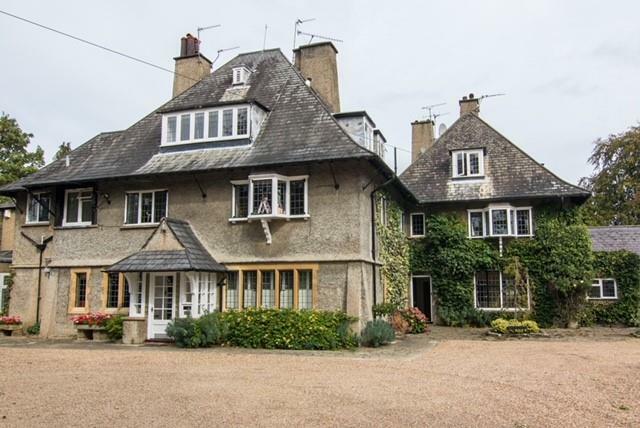 Viewings are strongly advised in order to fully appreciate the property. 247 Property Agent is delighted to introduce to the market an extremely well proportioned end of terrace house available to view immediately. The property backs onto the delightful ‘Horton Country Park’, ideal for fun family activities. The spacious home is beautifully presented with flashes of colour on a neutral pallet. A generous hallway houses a downstairs W.C. and a large under- stair cupboard and leads firstly to the large front lounge area, decorated with in a cool contemporary colour and embellished with decorative mouldings to the walls. At the end of the hallway is the kitchen diner/ family snug. The fully fitted, contemporary designed kitchen exudes modern simplicity, with its high gloss cabinets and sleek bar handles, paired with a black, tiled splash back and gun-metal coloured work surfaces for an eye-catching contrast, making a modern statement. The diner/ snug area benefits from patio doors, which lead onto the large back garden, which is mostly laid to lawn with a fabulous decked patio area and large workshop/office situated to the rear. The first floor offers three generous bedrooms, the master having the benefit of stylish fitted wardrobes along with space for free standing furniture. A separate W.C is positioned between the bedrooms in addition to the exquisite family bathroom, which has recently been updated and offers a modern, tranquil space in-which to unwind. The large frontage offers off street parking and a side gated entrance leading to the rear garden.